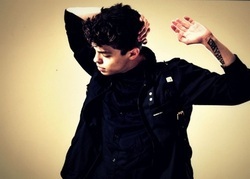 Ian Eastwood can be seen currently as both choreographer and dancer on DanceOn's Dance Showdown and MTV's ABDC7 "Return of the Superstars" Ian has a unique, infectious style that started at the age of 10.Since moving to North Hollywood last year at 18 to continue on his career path, Ian has appeared as a Principal Dancer in the Ubisoft/Black-Eyed Peas Experience television ad,won World of Dance Youth Choreographer of The Year,and choreographed a music video for 5LP.In addition ,Ian has traveled to 17 countries teaching classes,workshops,camps and intensives as well as regular events and workshops with Young Lions,Millennium Dance Center,Coastal Dance Rage, and Movement Lifestyle.Ian also represents his own clothing line through Young Lions. Kaelynn Gobert-Harris, affectionately known as “Kay Kay”, has been dancing since the age of 5 and specializes in most genres of dance which claim no formal training. Her career kick started when she was hand selected for the WNBA's Los Angeles Sparks dance team. She spent 4 years with the team; growing as an artist and perfecting her personal style. By the time she was 12, Kay Kay had assisted and worked with some of the most sought out professional choreographers in the business today. Since then, she has worked with artists such as Sade, Soulja Boy, Willow Smith, Queen Latifah, Cicely Tyson, Mindless Behavior, Diggy Simmons, Ciara, Jacob Latimore and Britney Spears. Kay Kay has had the honor of performing for millions on X Factor, MTV’s Video Music Awards, VH1 Diva Awards, Rango, Ice Age, Disney, Macy’s, Nickelodeon and GLEE! She became known for her versatile dance styles, clean and sharp execution, and her creative movement. 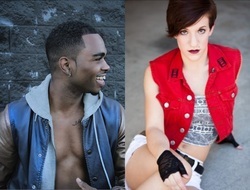 In 2011, Kay Kay received the prestigious “Elite Protégé” award, where she traveled the country assisting choreographers, such as Brian Friedman, Laurieann Gibson, Dave Scott, Wade Robson and Tyce Diorio. Additionally, Kay Kay received the Top Ten Child Prodigy award from the Industry Voice Awards, Young Black Starz Best Dancer award and World of Dance's Youth Choreographer of the Year award. In 2012, Kay Kay competed along with her crew, 8 FLAVAHZ on MTV’s America’s Best Dance Crew where they astounded audiences week after week with intricate choreography and personal triumphs, landing them in 2nd place. 8 FLAVAHZ go down in history as the youngest female to crew to ever compete on the show!